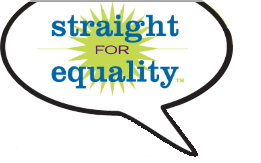 Below is an alphabetical list of all Straight for Equality and PFLAG-created resources on this site. To better understand how these resources can be used, check out the module pages. Get 10 simple things that you can do to come out, speak up, and join in as an ally and a healthcare provider. Learn 10 simple things that you can do to come out, speak up, and join in as an ally in your faith community. Use these postcards as part of an event to show people how to be better trans allies. This one page overview details the “Buzz: Creating It, Changing It, Managing It” training. Learn how to achieve a great buzz about your work and your brand. This training will help individuals identify what their buzz is, how to make it better, and the role it plays in personal, ERG, and organizational success. This one page overview details the Claim Your Rights project developed by PFLAG in collaboration with GLSEN. It has basic information about filing a complaint with the Office for Civil Rights (OCR) at the U.S. Education Department to report instances of bullying and harassment in public schools that receive federal funding. This one page overview details the Cultivating Respect Training. This training directly addresses the issues bullying and harassment in schools. Learn more about these issues and how they are so closely related to attitudes about LGBTQ people in the workplace. Also learn simple, accessible, and effective strategies that anyone can use with their kids, friends, teachers, and school personnel to end bullying in schools. There are few topics that cause as much stress as putting LGBTQ equality and religion in the same discussion. The conflict – both real and perceived – between diversity and inclusion efforts aimed at LGBTQ equality and people’s religious beliefs remains a hotbed of debate. Find out how to move this debate back to a conversation, identify ways to find common ground between LGBTQs and people of faith at work, get resources to help in the effort, and even find ways to use common ground as a starting point for workplace programs that promote inclusion for LGBTQs and people of faith together. 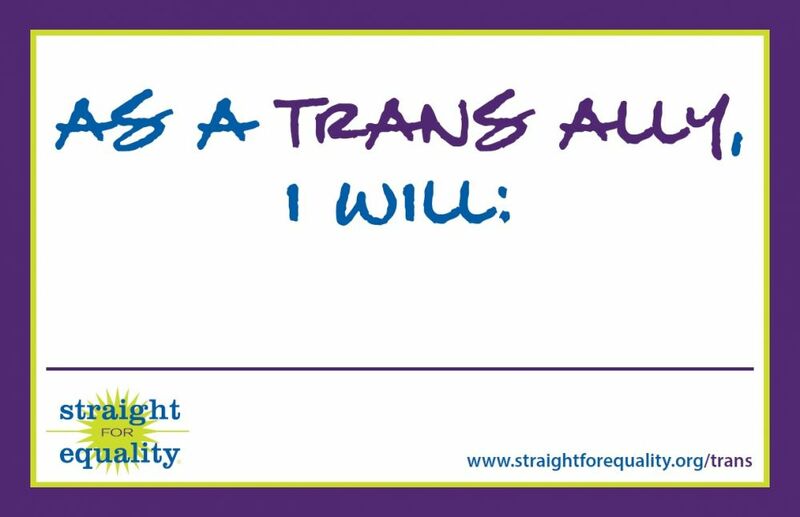 Created for LGBTQs, these cards help communicate why a person needs a straight ally. Great for events and for getting conversations started. The reverse side provides you with some instant resources to pass along. Culturally inclusive ERGs are able to better serve organizations, provide support to less visible populations and create partnerships that yield great educational opportunities, dispel stereotypes, and develop inclusive workplace climate. Learn why inclusion of communities of color is to important to ERG work, the role of LGBTQs as allies to people of color, understand inclusion vs. diversity, brainstorm to create new projects, and start boosting inclusion in your ERG. This guide helps healthcare professionals understand how they too can help move equality forward. By being more inclusive in their language and learning more about the unique challenges that LGBTQ people face doctors, nurses, and allied health professionals can change – or save – lives. This one page overview details the “(Effectively) Sharing Your Story to Create Change at Work” training. The training leads participants to articulate their personal stories and understand the power that story can have. It also helps to articulate why telling our stories about diversity and inclusion is critical. This one-page overview details the 90-minute “Straight for Equality in the Workplace” training program. This training highlights some of the reasons why straight allies need to be engaged in an accessible and non-confrontational way. This one-page overview details the Advanced Straight for Equality in the Workplace training program titled “I’m Not LGBTQ...Not That There is Anything Wrong With That.” This training will help allies effectively communicate why they’re and ally and articulate the business case equality. This one-page overview details the three-hour Straight for Equality in the Workplace Intensive training program. This training focuses specifically on high-level management and will help them understand the challenges of culture chance and provides tools to become effective leaders in this effort. This session will help participants focus on understanding more about transgender people and how they can become better allies to the trans community. The session educates participants on what transgender is (and isn’t), builds skills around discussing topics related to the trans community, offers important statistics on what transpeople face, and offers best practices on how to be a vocal trans ally and opportunities to try new skills on real-world scenarios. This one page overview details the “Care and Feeding of Straight Allies: What LGBTQs Need to Know to Effectively Engage New Straight Allies” training. This training will help Employee Resource Groups understand common challenges in attracting, educating, and engaging new allies and some simple ways to overcome such challenges. It will also ask ERG’s to question the way we define “ally” in the workplace, examine how that definition can impact outreach and engagement, and provide some simple ways to transform allies into engaged advocates.